Order your Aurora Large Ink Cartridges 5 Pack today from FahrneysPens.com. Fine Pens, Refills & Luxurious Gifts – great prices & fast shipping. 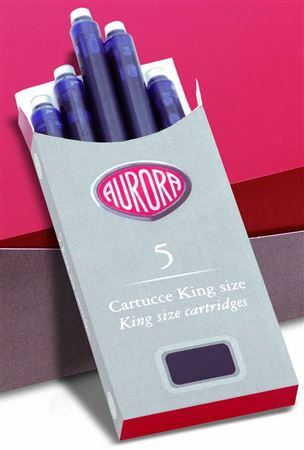 Keep on writing with Aurora Large Ink Catridges. Each package comes with five large ink cartridge, available in black or blue ink colors. Purchase multiple refills to save money on shipping costs later!